Off-Site Components - $135 Sq.FT with no garage built into the design. Install on code foundation thru “Dry-In” - $45 Sq.Ft. Without seeing your site estimated install "Dry-In" - $135 Sq.Ft. Owner/Contractor total estimate installed “Turn Key” - Est. $350 Sq.Ft. - includes all above. 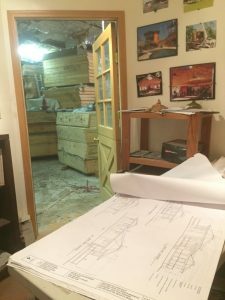 Permits, Plan Documents, Engineering, School Tax, Driveway, Utility Hook-Ups, Geo-Tech Engineering for Sloped Sites, Coastal Review, Well, Septic, Sprinkler System, Walkways, Landscaping, Grid Tie Solar etc. Range from the affordable 294 Sq.Ft. Mini Studio to 3,6000 Sq.Ft cluster 5 bedroom home with tower and Greenhouse and garage with wrap around decks. 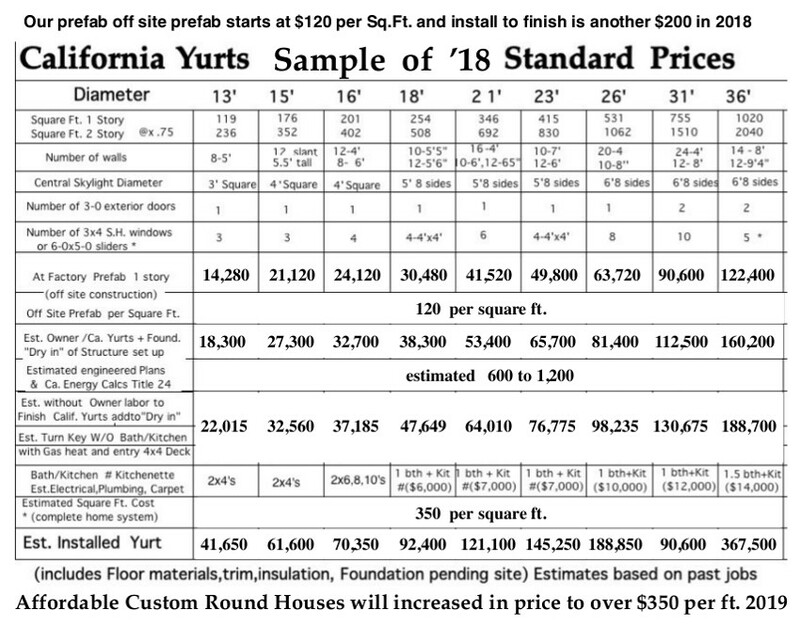 For Prices on 41’ 46’ 51’ 61’ 81’ and Multi-Radius and Cluster, designs call for an appointment. 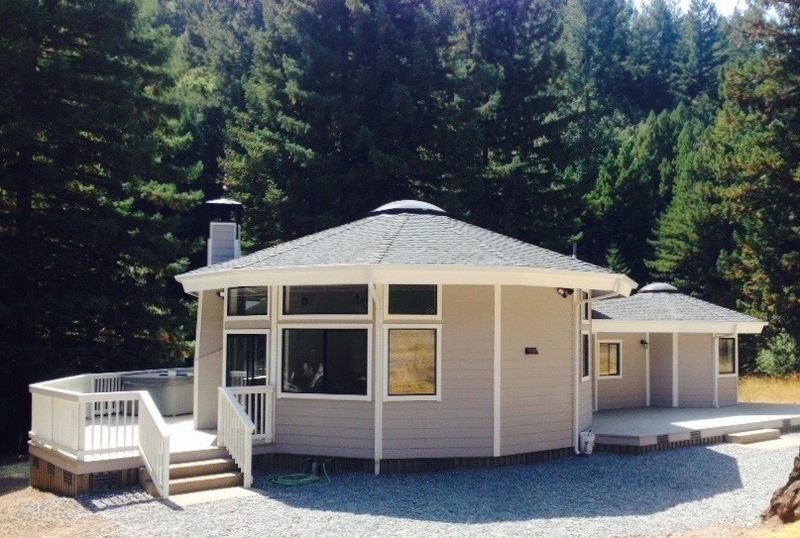 Estimated owner assisted install prices are for Mendocino County on flat sites. Our price list’s intention is to promote questions to be answered rather than illusions imagined. We do not sell kits. We install thru “dry in” often working with our clients as a minimal requirement. Each job is custom and the below estimates are based on past jobs, which include code approved perimeter foundation on level sites. We use as a standard the award-winning above ground Anchor Panel steel foundation system. We can use this system which is 1/3 the cost of a standard concrete stem wall above ground perimeter foundations. It takes 1/3 the time and no forming. It cuts and bends around our perimeters and can be used up to 5’ above ground for sloped sites. We also do block and slab floors. Site built 2x8 #2 douglas fir floor @16’ on center framing with joist hangers to the rim with R-19 Formaldehyde Free Fiberglass encapsulated insulation, ¾ “Edge” aspen Orientated Strand Board T&G (re-growth) subfloor with owner site installed 5/8” Bamboo flooring over Tile guard. Prefab Walls 2x6 # 2 douglas fir 16” on center framing with 7/16” Orientated strand board sheer wall, 8’ to 12’ high wall framed depending designs with site applied house wrap 5/16” Site Painted or wood stained Hardi-panel siding www.jameshardie.com site installed. Interior 5/8” sheetrock, light texture with bullnose corners site installed. Unsealed 1x8 #2 pine sills. Rdwd top of wall and base trim. R-19 Fiberglass insulation. Rdwd. (re-growth) or MDA 1x6 ext.trim. 2x10 #2 douglas fir frames with shop blown recycled newspaper impregnated boron impregnated fireproof R-37 cellulose insulation, www.cellulose.org ¾’ O.S.B. Aspen re-growth roof deck, tile guard under 50 year Elk composition shingles and Z ridge. 1x6 #2 Pine int. resawn T&G unsealed ceiling on 36” overhang with 1x12 re-growth con hrt. MDA or Redwood facia Steel Ring Connecting hardware. 2-8 sided tinted over clear insulated triple glaze tinted skylights www.tamskylights.com Compression steel rings. 16”x3/16” rolled steel welded to a ¾” x 2” solid steel flange. Wooden roof to Skylight redwood flashing ring. 5/8” Galvanized Cable/turnbuckle in poly chase hidden in soffit Giving your yurt a compression band eliminating the need for a center post as well as earthquake proofing and holding the roof frame in tension making it one of the strongest roofs available. We use a ¾” cable for sod roof loads and extreme snow loads. Delivery, Install Contractor Travel and Perdium for Installs over 45 minutes from Ukiah.